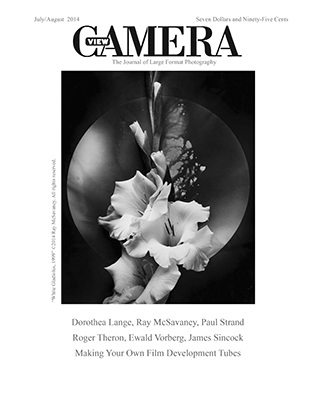 Ray's good friend, and talented photographer, Eric Biggerstaff organized and wrote a touching introductory essay for an article in the July/August issue of View Camera magazine entitled, Remembering Ray: A Tribute to Ray McSavaney. Along with Eric's essay, there are texts remembering Ray by Bruce Barnbaum, Paul Caponigro, Charles Cramer, Ken Karagozian, John Nichols, John Sexton, and Huntington Witherill. One of Ray's photographs accompanies each personal text. We hope that Ray would be happy to know that one of his images now graces the cover of View Camera for the third time - a record in the twenty-six year history of the publication. Ray even had the honor of having his image on the very first issue of View Camera in August 1988! You can download the entire article in PDF format here.